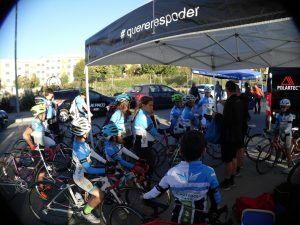 Bicycles are the most widespread sports instrument in Spanish homes according to the latest Yearbook of Sports Statistics of the Consejo Superior de Deportes (CSD), more even than footballs, but structures more overturned with childhood do not see that high percentage translated into licenses. The extracurricular activities offered to families today are varied and numerous. These activities cover a wide range of subjects and range from physical activity to more creative occupations. Music, painting,… And sport, a lot of sport. The exercise has a generous ration of proposals. Many sports ‘compete’ within this amalgam of offers which, in turn, is divided into multiple categories. A coexistence where cycling is not lacking. The bicycles, according to data from the CSD in the sixth edition of its Yearbook of Sports Statistics, have a great presence in Spanish homes. 63% of Spanish households have at least one bicycle at home. There are more saddles than balls. Even cycling, according to this same study, is the fourth most practiced sport in Spanish homes behind gymnastics, football and running. But this presence of more recreational and idle implications does not have a direct correlation with the number of licenses, neither at the top of a hypothetical pyramid nor much less at the base, the source of the talents of the future. At an early age, the bicycle is sometimes more an element of play, on a smaller scale a means of transport, than a tool of competition. Cycling, within the Memory of the Superior Council of Sports of 2017 related to the number of licenses and clubs, is not among the top ten. It is true that these data deal with the totality of this activity, from schools to professional teams, passing through the different types of licences offered by the territorial federations. Cycling in the category of schools has another handicap: compared to other activities that are carried out faithfully following the school calendar, the cycling calendar at the level of school competitions takes place during the calendar year. Many boys and girls have their homework already planned from September and October. Cycling, its practice through a school, arrives late and can also have a distorting element: the one that can seem a pure and hard capture for the competition. 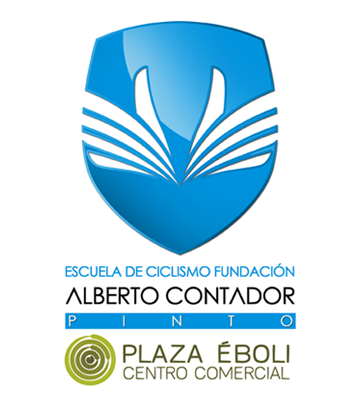 “And no, it’s not like that,” says Álvaro García, one of those in charge of the Fundación Alberto Contador´s Cycling School. “We are finding that from the outside you have that image, that of being a school focused on competition or road cycling. 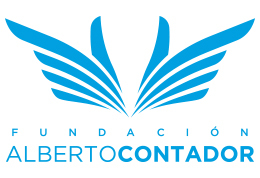 It is undeniable that the name Alberto Contador can stimulate these perceptions. But this idea of the school can make mountain bikers, or people who just want to practice cycling, not come. Or even the influence of road safety, that respect that the road can give to any parent”. The number of students enrolled in this school has remained constant since its inception, ranging from 35 to 37 each year. The cost of registration, which includes the federative license, equipment and the work of the monitors (with four hours a week divided into two sessions, one on Tuesdays and the other on Thursdays), amounts to 150 euros. “It is not a question of competing with other extracurricular activities or other cycling schools, not at all, because we all walk in the same educational and formative direction,” says Garcia. “Sometimes a cycling school is associated with competition and is not necessarily so, I think it is necessary to generate a change of mentality in that sense, or think that it is a school where you can only go with road bike, also uncertain because in our school we make trips with road bikes and mountain bike depending on the time of year and, in any case, who does not have a road bike comes with the one they have with the rest of students,” says Felix Garcia Casas on his part. “We don’t promote competition in our school, we don’t even tell the kids that there is a race this or that day. That is something voluntary that the families decide and where there is always someone from the Foundation present. The real strength of the school is the promotion and practice of the bicycle as a means of leisure, transport and initiation to cycling”.